Today a new nonprofit organization called the Partnership on Artificial Intelligence to Benefit People and Society announced its establishment. Participants include Amazon, Google (and Google’s DeepMind), Facebook, IBM, and Microsoft. Those companies will put up money and research resources (that could mean talent, open source code, or data). Company representatives will sit on the organization’s board alongside people from academia, the nonprofit world, and policy and ethics experts, according to a statement. Plans call for discussions, studies, reports, best practices, and public outreach in general. The stated purpose, “to benefit people and society,” clearly shows a position when it comes to implementing artificial intelligence into all sorts of applications. The involved companies, and others, like Apple, Baidu, and Pinterest, have been active in this area. Aside from software, artificial intelligence can also be used to improve the performance of hardware systems like self-driving cars and robots. The participating companies are looking to ensure that artificial intelligence remains primarily helpful, not hurtful. Some people think first of the Terminator when they hear about the latest advancements in artificial intelligence, and so the positioning is a response of sorts to that. 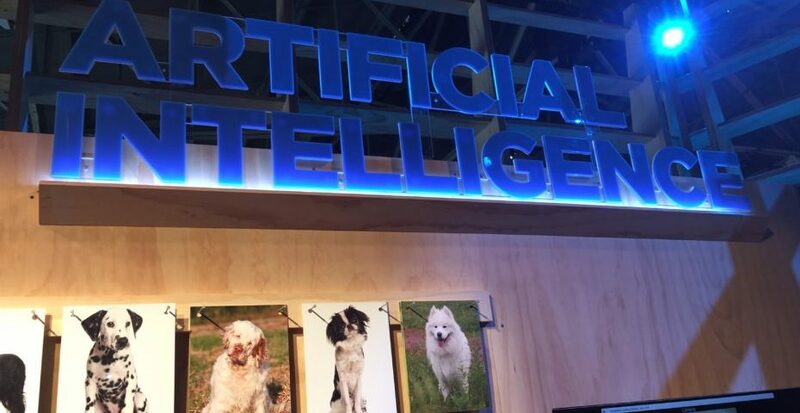 “Through rigorous research, the development of best practices, and an open and transparent dialogue, the founding members of the Partnership on AI hope to maximize this potential and ensure it benefits as many people as possible,” the statement said. The organization also has tenets. “We believe that artificial intelligence technologies hold great promise for raising the quality of people’s lives and can be leveraged to help humanity address important global challenges such as climate change, food, inequality, health, and education,” the organization says on its homepage. The formation of the group comes almost a year after the announcement of OpenAI, a nonprofit with financial backing from Sam Altman, Elon Musk, Peter Thiel, and others. The Partnership on Artificial Intelligence to Benefit People and Society (or PAI, for short) is in talks with outside organizations such as the Allen Institute for Artificial Intelligence, according to the statement. Current members of the PAI include Google Research senior scientist Greg Corrado, Amazon director of machine learning Ralf Herbrich, Microsoft technical fellow Eric Horvitz, Facebook Artificial Intelligence Research (FAIR) group head Yann LeCun, IBM research scientist Francesca Rossi, and Google DeepMind cofounder and head of applied artificial intelligence Mustafa Suleyman.